As of April 30th, 2018, most Ontarian landlords of private residential units, whether they are individual landlords, large property management firms, or anywhere in between, will have to use the new standard lease form. Its purpose? Ontario’s new standard lease has been created to be a single point of truth for both tenants and landlords. Who is it for? The new standard lease is applicable to most residential tenancies in Ontario. What is in it? There are three key items to note in the new standard lease. The mandatory fields, optional additional terms and general information. The optional additional terms are terms that the landlord and tenants agree to that are unique to the unit that is being rented. These are terms around pets, smoking, parking etc. Note that these must be consistent with a mandatory term of the lease or the RTA (Residential Tenancies Act). Otherwise, they are considered void and unenforceable. Starting April 30th 2018, you must use the standard lease for signing leases. If you sign a lease on or after April 30th 2018 without using the standard lease, tenants can ask the landlord for one in writing. The landlord must provide one within 21 days. Tenants cannot ask for a standard lease if they signed a lease before April 30, 2018, unless they and their landlord negotiate a new lease agreement with new terms on or after this date (for example, if the tenant signed a new lease for a one-year term). Additionally, tenants cannot ask for a standard lease if they sign a fixed-term lease before April 30, 2018, and it renewed automatically to a month-to-month tenancy after April 30, 2018. 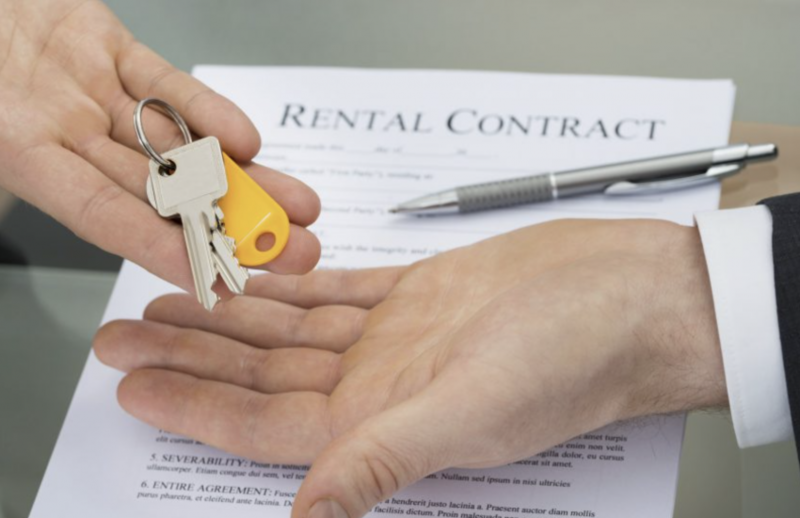 If a landlord fails to provide the standard lease within 21 days after a renter has asked for it in writing, the renter may withhold one month’s rent. If the landlord fails to provide the standard lease within 30 days after the tenant has begun withholding rent, the tenant does not have to repay the one month’s rent. Please note, the tenant cannot withhold more than one month’s rent and the tenant must continue paying the rent for the term of the lease, even if the landlord never gives you the standard lease. However, if a standard lease is not provided, special rules allow the tenant to end your fixed-term lease early. Landlords and renters can choose to use the standard lease before April 30, 2018. However, the rules requiring the standard lease will only be in effect starting on this date. Feel free to email with any questions at [email protected], or contact the Landlord and Tenant Board directly at 1-888-332-3234.